Exchequer e-commerce integration trade and retail - Ocean Ecommerce. advice and professional enterprise level solutions. details will synchronise with your stock management systems. push your site higher and higher in the search engines. browsing device from desktops to iPhones. frameworks which are both flexible and powerful. We provide expert e-commerce advice to help get your online shop up and running with the minimum fuss and expense. We will help you find and configure the right e-commerce system that fits with how you want to run your retail or trade business on-line. With over 20 years of e-commerce experience we have tried them all and can tell you exactly which system is right for you. From WordPress to Magento or custom written bespoke solutions we have the experience you need to make the right choice. From entry level start-ups to enterprise level organisations we offer the same dedicated approach. When it comes to help and support blue sky is the limit. Ex-Commerce is founded on a desire for excellence and we offer a consultancy style approach to each and every project to make sure you get exactly what you need from your Exchequer e-commerce. We are passionate about support and make it our mission to ensure your web site performs exactly how you want it to, now and in the future, so that you can get on with running and expanding your business. "Within days of going live we found we were saving up to 70 hours a week on order processing." "We had tried other systems but Ex-Commerce is the only one that actually works." "If you have Exchequer and want online trade orders Ex-Commerce is the only real solution." "Ex-Commerce has enabled our business to grow exponentially over the last 5 years." 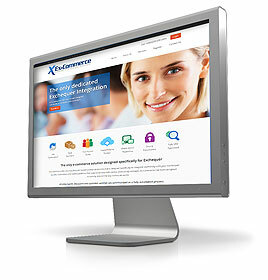 We are the creators of Ex-Commerce the rapid return on investment e-commerce integration system for users of Exchequer. Within days of going live you will start to feel the real benefits of streamlined automated order processing. Ocean offer a full creative design service that will enhance your brand online and give you a unique bespoke web shop. With over 20 years experience in the creative industry we have designed and built literally hundreds of web sites. We can design for off the shelf CMS packages like Magento and WordPress or better still - for our own Ex-Commerce solution. Whether starting from scratch or rejuvenating an existing shop we can deliver a design that will knock your socks off! 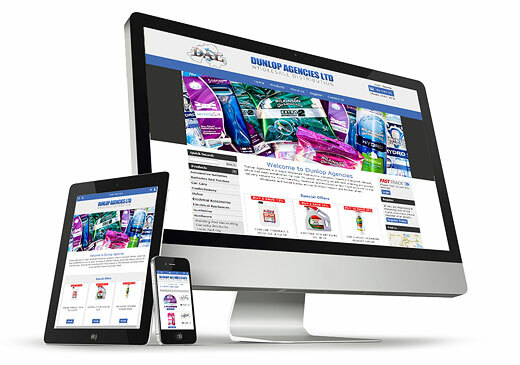 Individually designed and responsive web sites that automatically adjust to suit your customer's browsing device. From huge desktop screens to the smallest smart phone, your web site content will elegantly resize and adjust to make the best use of the space available whilst maintaining all the necessary elements to allow easy ordering.